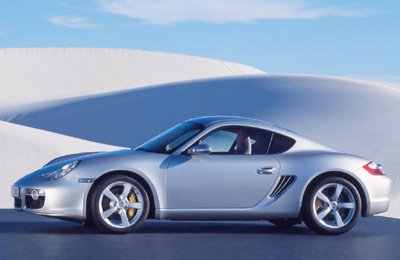 The Porsche Cayman concept, first seen at the Frankfurt Motor Show is essentially a hard top Porsche Boxster. The concept previewed the production car which was to arrive shortly after. 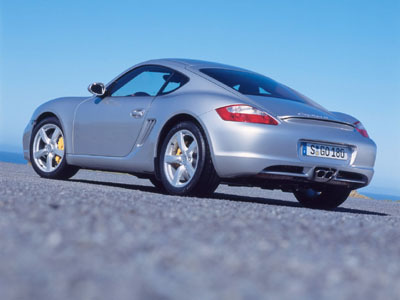 Despite being more or less a hard-top Boxster, Porsche does not push this feature, and clearly separates the Boxster and Cayman with both price and performance. The Cayman can not be compared too closely with the 911 either as the new car is mid-engined, lacks any rear seats and is smaller in proportion. The Cayman's overall appearance is not as resolved as other Porsche models, although the 911 has of course had time to mature gracefully. The Cayman's somewhat awkward rear end design may have a direct relationship with the fact Porsche wants to target the Cayman at a more masculine audience, strong distinct rear arches can only help, a mini 911 clone would be too boring. 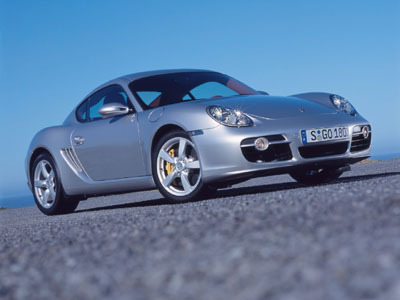 Although the Porsche Cayman is a production destined concept and does not display any extreme or unusual features it is an important concept due to Porsches small line up. Another hard top concept seen at the Frankfurt Auto Show which was inspired by a soft top model is the BMW Z4 Coupe.